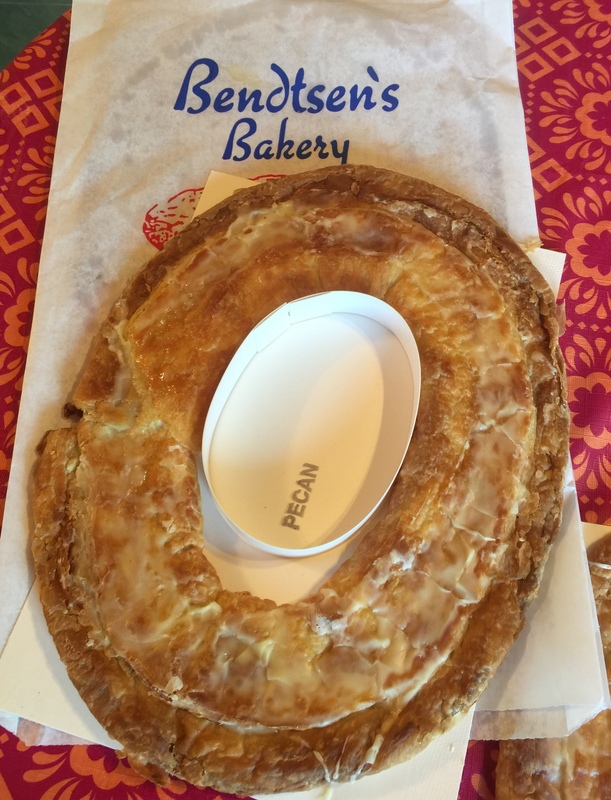 We asked our Facebook group which Kringles should we taste test and overwhelmingly two bakeries were suggested: O&H Danish Bakery and Bendtsen’s Bakery, both in Racine. 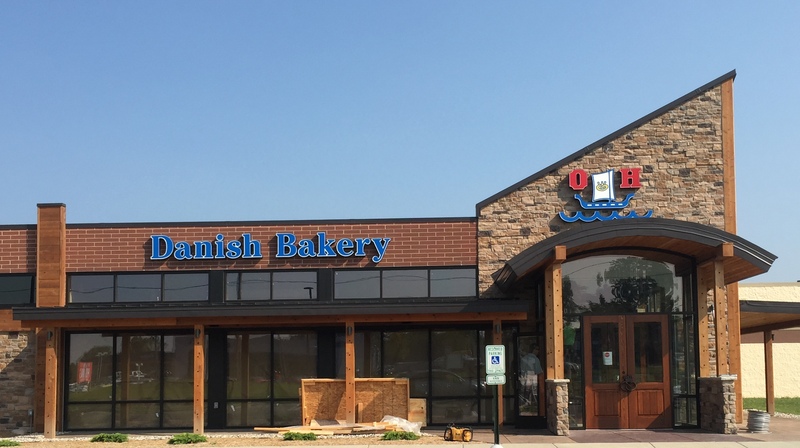 O&H Danish Bakery has two, soon to be three, locations in Racine. Pictured below is the new facility being constructed on Hwy 20 – Washington Avenue in Racine (Next to Kohl’s/Festival Foods). Of our Facebook group members, O&H was the clear favorite. O&H generally has a wider variety of flavors and more non-kringle bakery items available in their stores. Bendtsen’s Bakery is located in West Racine at 3200 Washington Avenue. 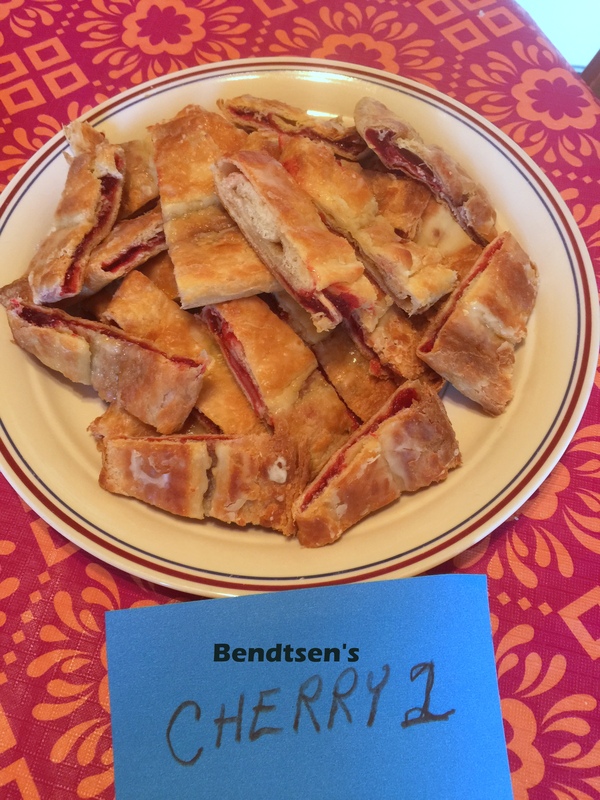 Bendtsen’s is a small bakery and has one or two employees working when you enter. There are other few other baked good items available, but Kringles are pretty much their deal. 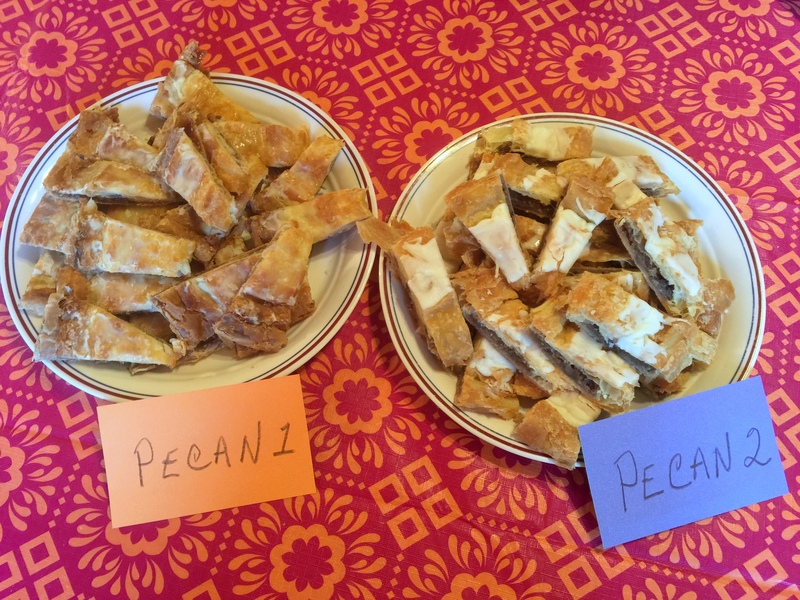 The primary flavors suggested for tasting were pecan and cherry. 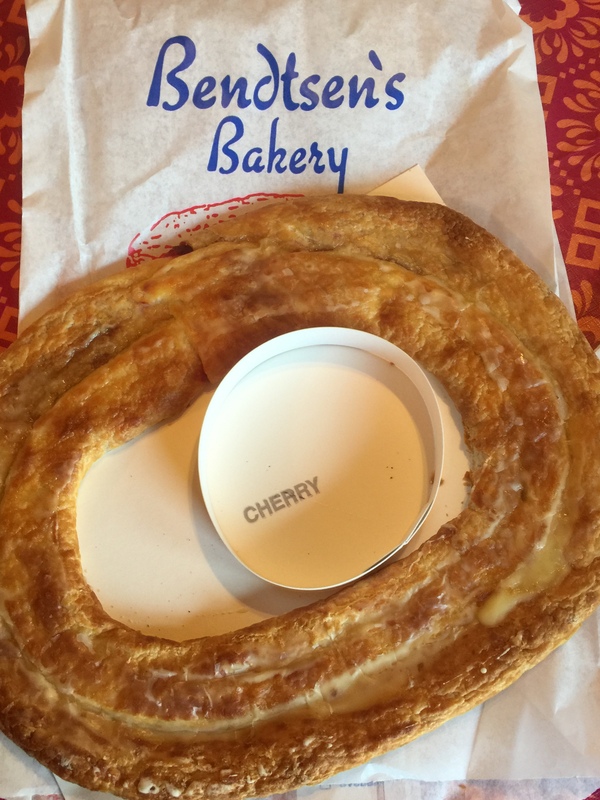 We purchased a pecan and a cherry kringle from each bakery for testing. 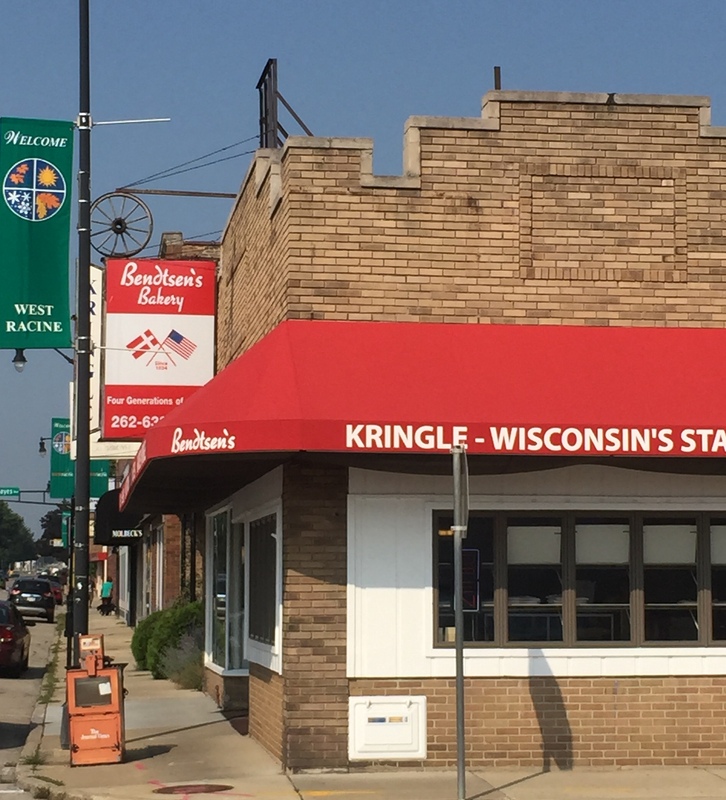 Because residents in Racine have dug in their heels when it comes to the best tasting kringle in town, any taste test with locals would be fraught with bias. 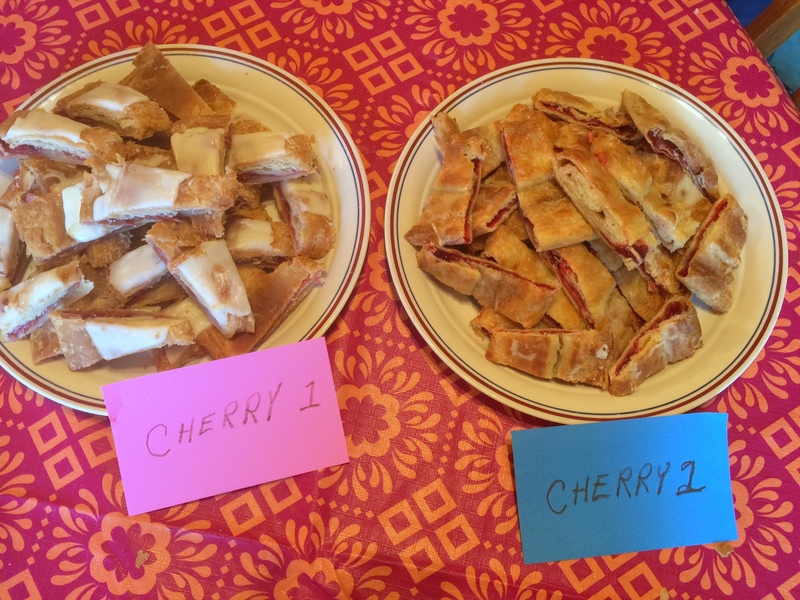 So this weekend, when I visited family in the Upper Peninsula of Michigan (locals, known as “Yoopers”, are sadly unfamiliar with our wonderful Kringles), we decided the best way to taste test kringles was to present them to this group. How clueless about kringle are they?? This group of people don’t know O&H from Preparation H and think Bendtsen’s was an 80’s sitcom starring a butler played by Robert Guillaume. 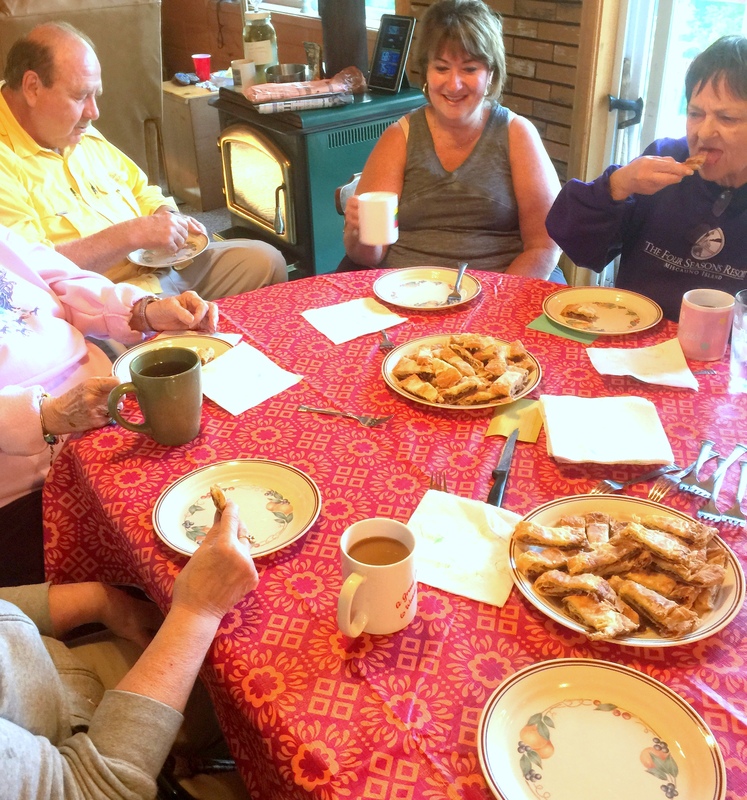 Six “Yoopers” tried the kringles, and five out of six had the same opinion. 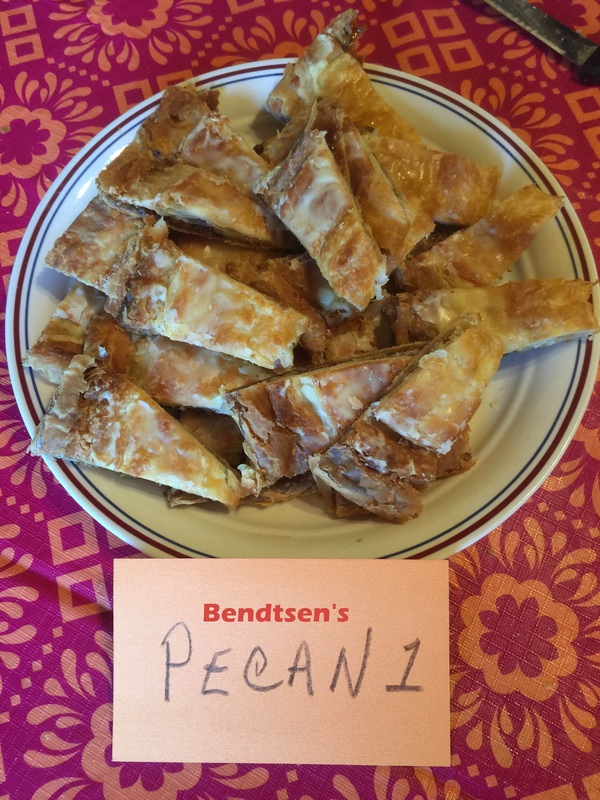 We placed sliced pieces of kringles on plates, labeling them Pecan 1 (Bendtsen’s), Pecan 2 (O&H) and Cherry 1 (O&H) and Cherry 2 (Bendtsen’s) The testers first tried the pecan kringles, tasting both before providing their comments. The same was done for the cherry kringles. All four plates were demolished by the next day. Picking between these two kringles is somewhat like picking to have a date with Ryan Gosling or Channing Tatum (even straight guys would have a difficult time making THAT choice): either way you are a winner, but, given the choice, I go Gosling all the way. 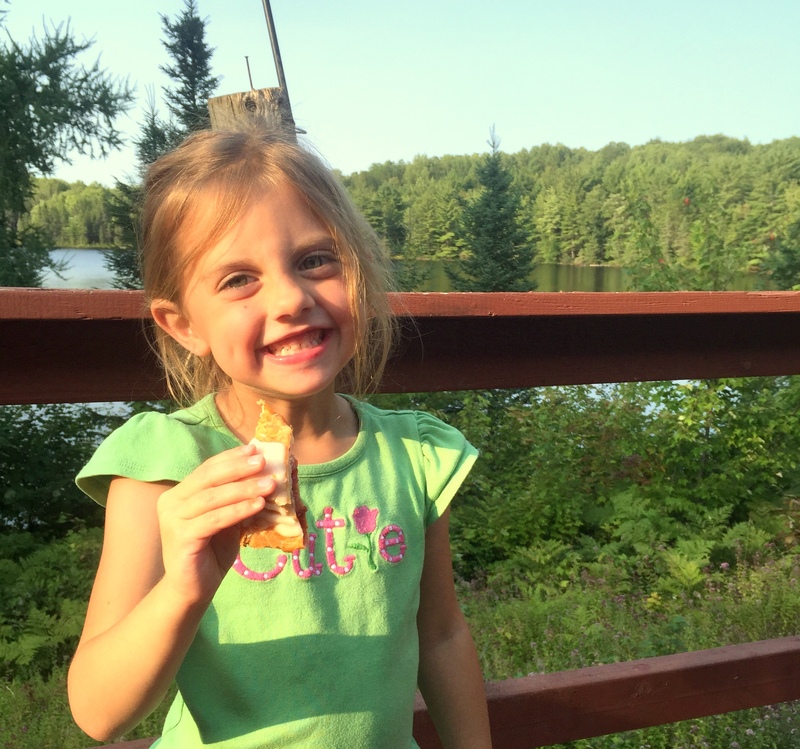 The Bendtsen’s cherry was the Yooper’s pick for much of the same reasons that the pecan won. 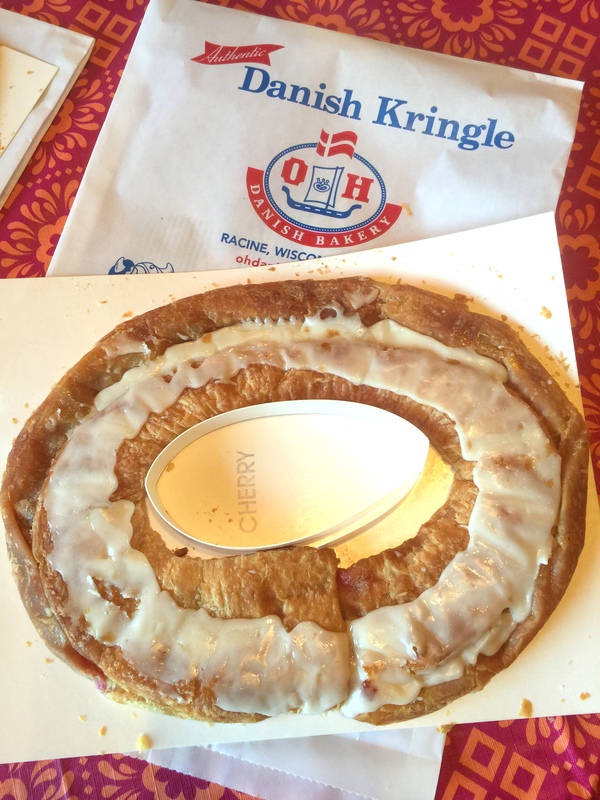 The tasters though it had “a lot more cherry flavor” and liked that it was “not as sweet” They thought the O&H kringle clearly “looked prettiest.” The taster that preferred the O&H Kringle did so because it had a “strong almond flavor” that she really enjoyed. 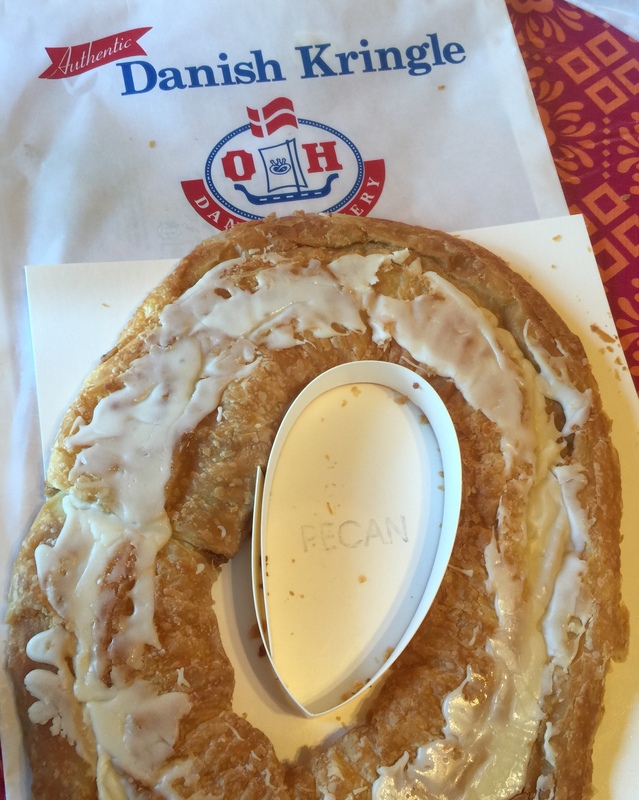 One “unofficial” taster was a big fan of the O&H Cherry kringle. I gotta admit everything tastes delicious and life is just plain good when you are in the beautiful Upper Peninsula of Michigan in late August after mosquito season.